Dining Hall Crew are in the cafeteria for a group picture. 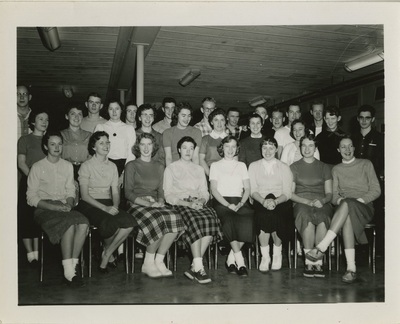 This photograph is at a very slightly different angle from the one in the one identified as "Dining Hall Crew_1958_001." It is also slightly smaller.